"My letters are my most secret possessions." Netflix has released a full, official trailer for romantic comedy To All the Boys I've Loved Before, an adaptation of the popular YA book of the same name written by Jenny Han. The film's plot is about a young woman named Lara Jean Song Covey, whose love life goes from imaginary to out of control when the love letters for every boy she’s ever loved are mysteriously mailed out. From the filmmaker who last made Carrie Pilby. Lana Condor stars as Lara Jean, and the cast includes Janel Parrish, Noah Centineo, John Corbett, Emilija Baranac, Israel Broussard, and Andrew Bachelor. It looks cute and smart and enjoyable! I have high hopes for this, want to watch it once it's out. You can still watch the first teaser trailer for To All the Boys I've Loved Before here, for even more footage. What if all the crushes you ever had found out how you felt about them… all at once? Lara Jean Song Covey's love life goes from imaginary to out of control when the love letters for every boy she's ever loved-five in all-are mysteriously mailed out. 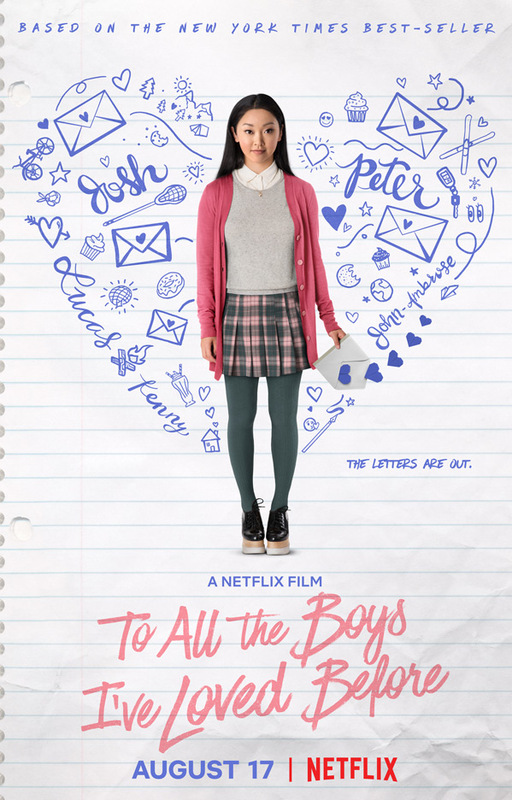 To All the Boys I've Loved Before is directed by American producer-turned-filmmaker Susan Johnson, director of the film Carrie Pilby previously. The screenplay is written by Sofia Alvarez; adapted from Jenny Han's best-selling book of the same name. Netflix will release To All the Boys I've Loved Before streaming exclusively starting August 17th later this summer. Who's into this?